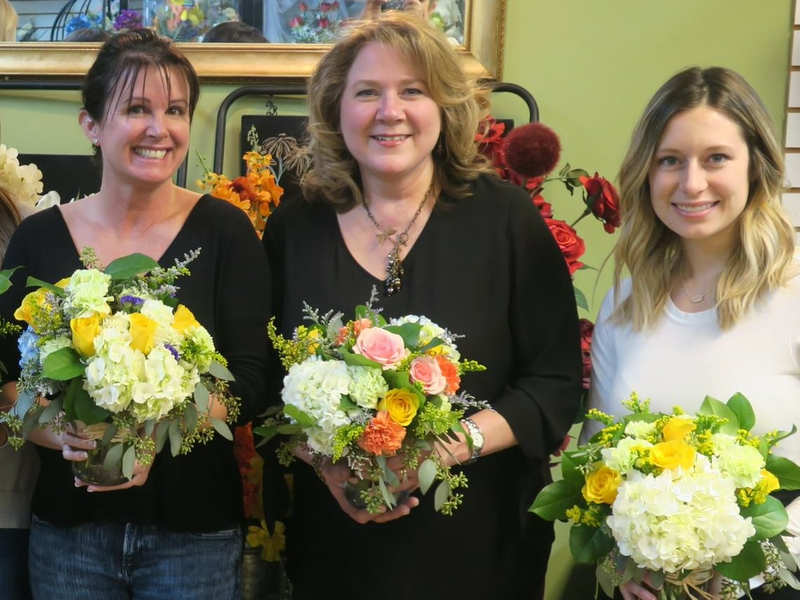 Send Your Love Florist & Gift's is excited to introduce "Bouquet's & Bubbly" Floral Design Classes. Please call (336) 632-9559 to register for an upcoming class! 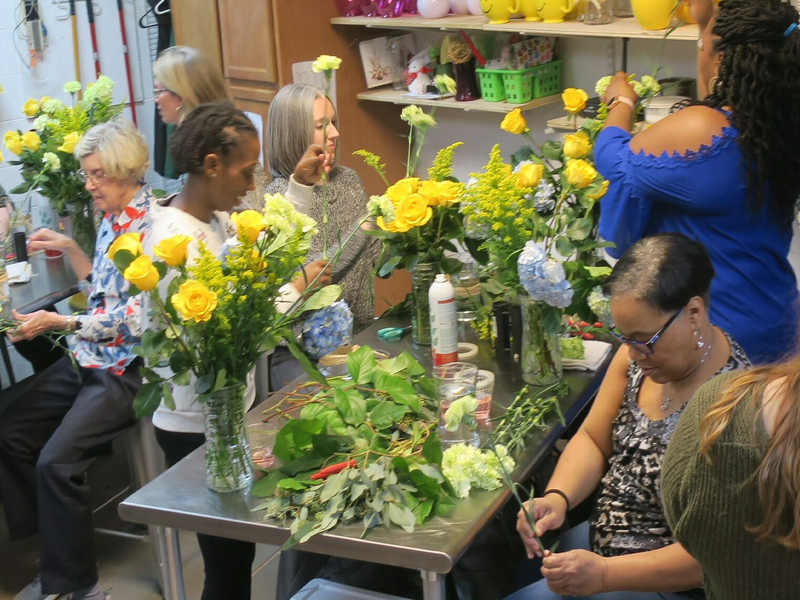 Whether it's a "Ladies Night Out", club activity or private team building event, our classes will bring out the "inner floral designer" in each attendee! Our talented design team will teach each participant how to arrange a seasonal arrangement while enjoying glass of bubbly! Additionally, learn valuable tips and techniques about floral care that will extend the life of your fresh flowers. Bring a friend or two to one of our in-store events! 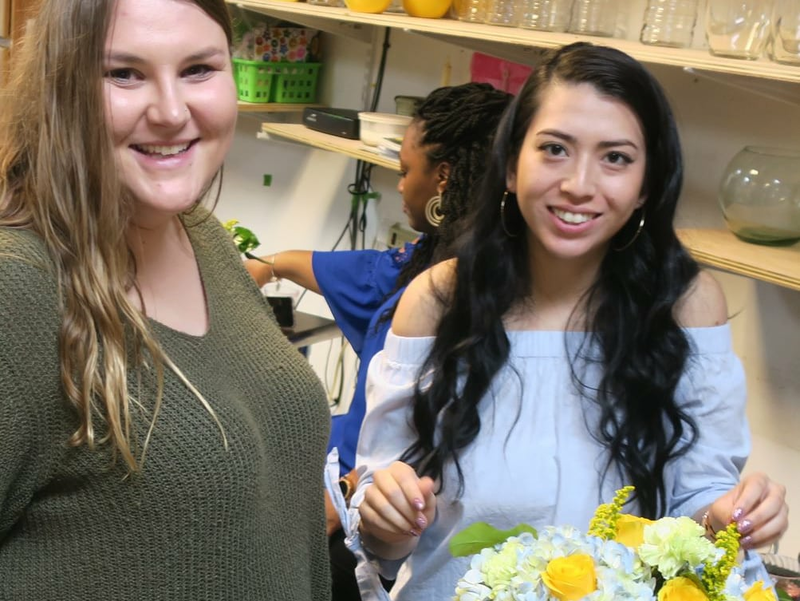 Each class is hosted by a certified floral designer who will discuss floral care and tips while then a guiding you through a hands-on, step-by-step floral arrangement made by you! 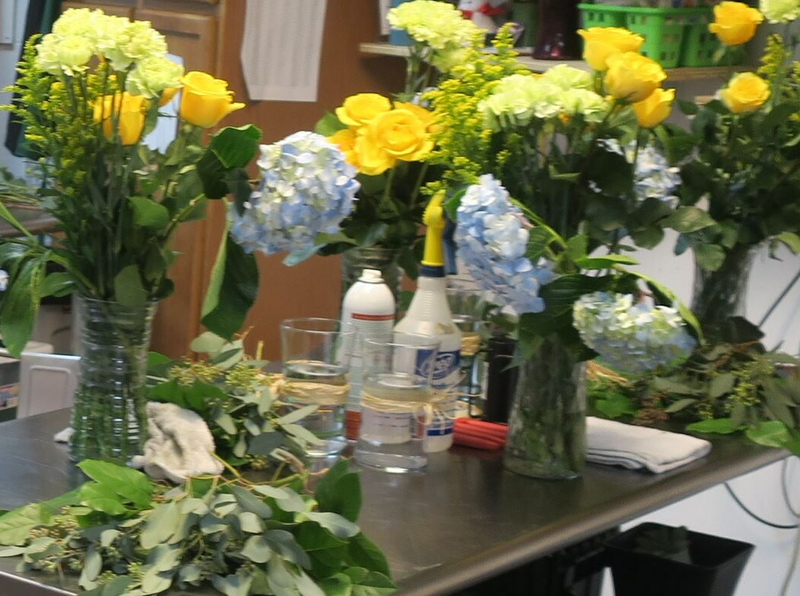 The class fee will cover all the materials needed to make your seasonal arrangement and a glass of bubbly! Space is limited to 12 participants for each event. Please call 336-632-9559 to reserve your spot today! Ladies Night Out, Clubs, Bridal Showers, Baby Showers, Team Building etc. Let us help you create an event that will have everyone feeling very accomplished! 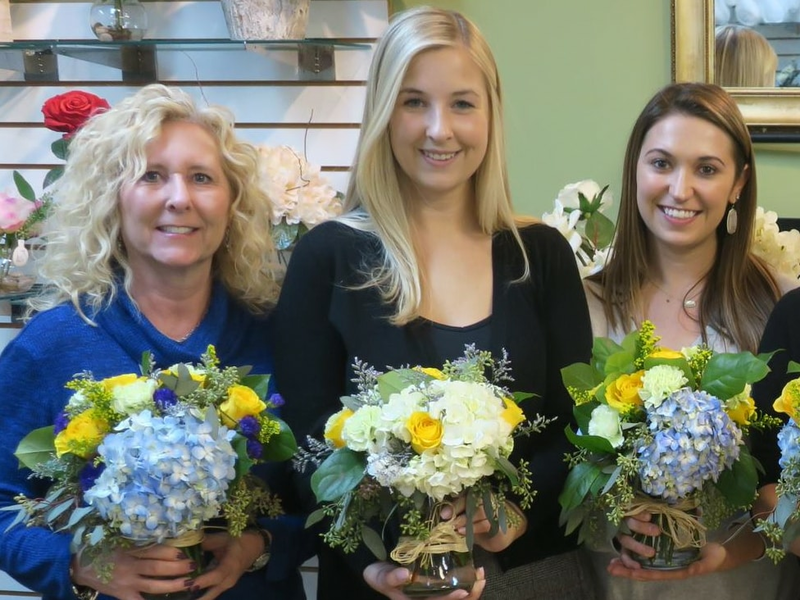 We’re able to accommodate a group of 12 or less in our shop for a private floral design class. 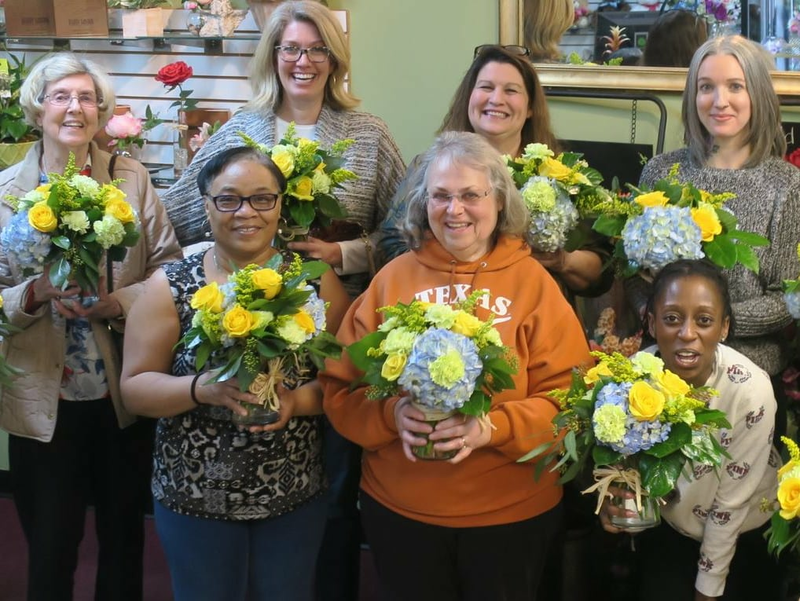 If you have a larger group, please call us to discuss the possibility of having a floral design class at your location.